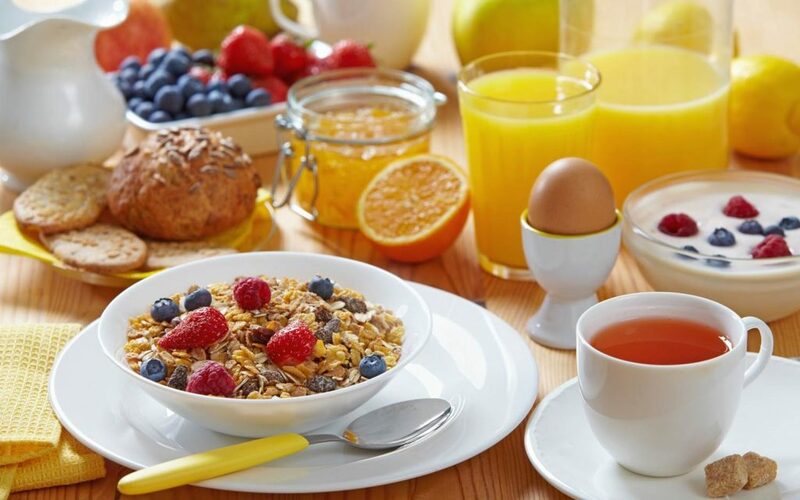 As praised by many researchers and marketers that breakfast increases metabolism controls hunger, help calorie conscious people and improves thinking abilities.Even though breakfast has been highlighted for its prominent benefits, there are warnings for the excess concentration on it. A recent study conducted over a period of 16 weeks suggested that obese and fat adults were not affected by not having breakfast. This raised serious concerns over the most popular culture of “Breakfast helps loose weight” that breakfast has been promoted through. As explained by Allison, this study has no validity towards the type of food eaten at breakfast or on those who are underweight. Children as well are not facilitated from this study which only creates a specific outcome. Some expert nutritionists still are adamant over the fact that breakfast helps weight-loss and creates a balances human functioning in the morning, so you better not get too quirky about the findings from the study. A registered dietitian in Chicago says that in the UAB study they did not look on how much the people were eating in their breakfast and had no control over their nutrition’s. The study also failed to address the connection between weights and focus levels during tasks; this portrays the limitations the study presented and explained the controlled information that has been forwarded to people. University of Minnesota School of Public Health conducted a research in 2008 and the researchers involved in that study were able to deduce that people who had been having breakfast regularly for the past 5 years had a higher tendency of loosing weight, hence showing the direct relation of breakfast and weight-loss. This relation is also proved by other studies that has similar results; these studies are known to be conducted over a very large period of time. Reducing the risk of metabolic conditions, including diabetes was helped greatly by consistent breakfast intake. This was declared by a study conducted in 2013. Some small experimental studies and initial studies also have mentioned the possibility of more research needed on the breakfast message that is displayed everywhere. No one for sure can say that there is a definite outcome the regular intake of breakfast. Breakfast is no doubt an opportunity for kids and teenagers to have a fresh start with adequate nutrition’s and diet. Since many kids these days are known to be highly unfit due to excess junk draining their digestive system. The tables might have been shifted towards the possibility of breakfast not being as effective in weight loss, but it is still widely considered as the most important meal of the day. The National Weight Control Registry shows that over 90% of the success weight loss stories include daily and healthy breakfast. Those who have maintained their weight for a long time are keener and concerned about their breakfast, showing the importance of it as a meal. If researches are now brining in counter-breakfast studies which suggests no link between weight and breakfast, there are numerous theories and studies to prove that there is a link.